Ahhh we live here. 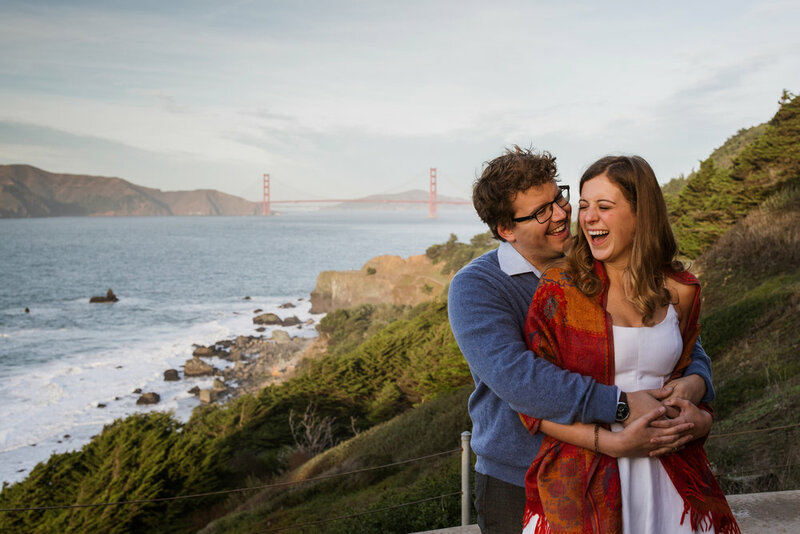 That's what I think every single time I'm at Lands End and Sutro Baths in San Francisco. How is it that some place so naturally beautiful exists right on the edge of a huge, bustling metropolis? 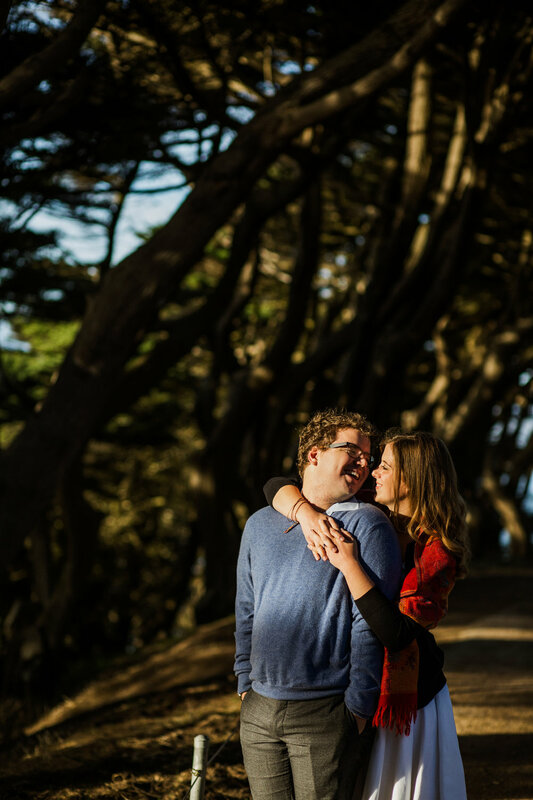 Alex and David are getting married later this year at Nestldown. We met last year over coffee and I knew that they were going to be my clients (whether they liked it or not, lol). You know when you meet someone and you're like, "Yes, these are my people"? That's what happened. 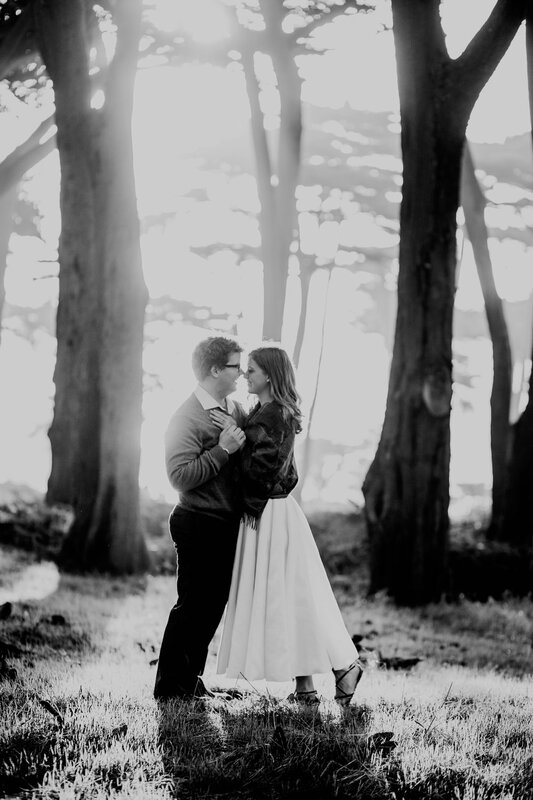 We had the best time during their engagement shoot, laughing and talking the entire time like old friends which I think helped us create better images. 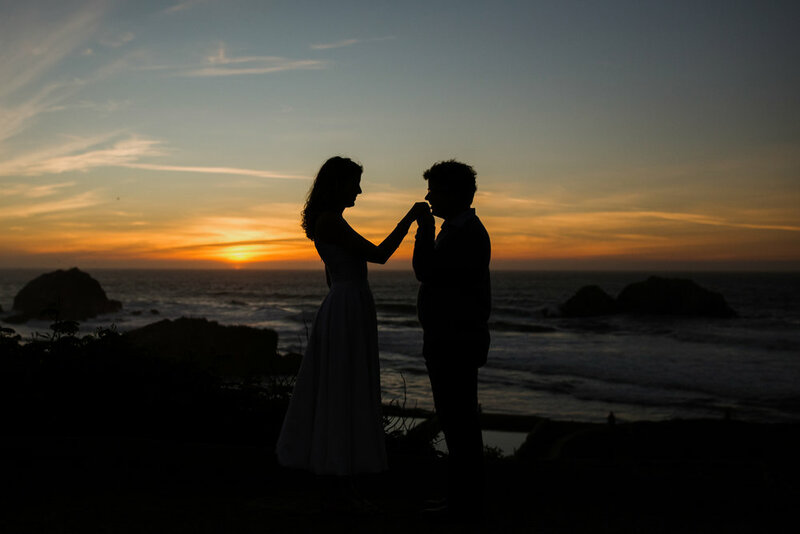 There is nothing that I love more than when a couple can relax and be themselves in front of the camera, even though I know it's scary when we first start. They totally nailed it! 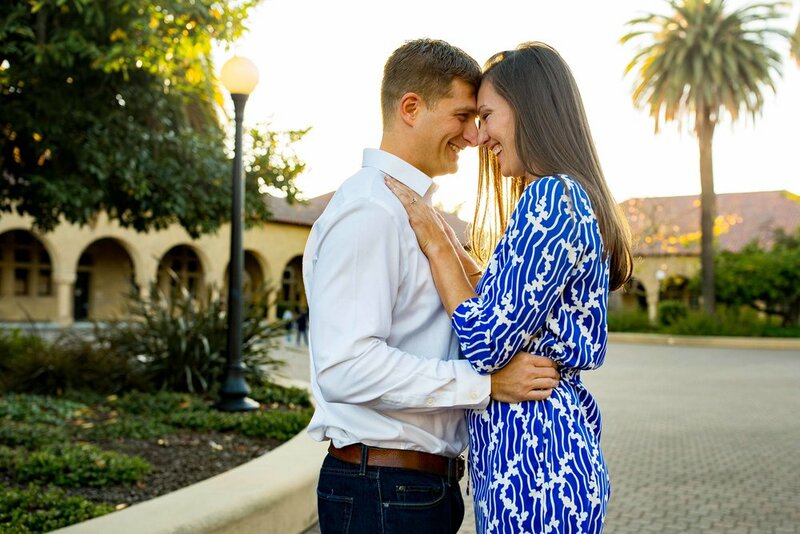 I am so excited to photograph the wedding of this great couple later this year at Nestldown in Los Gatos! 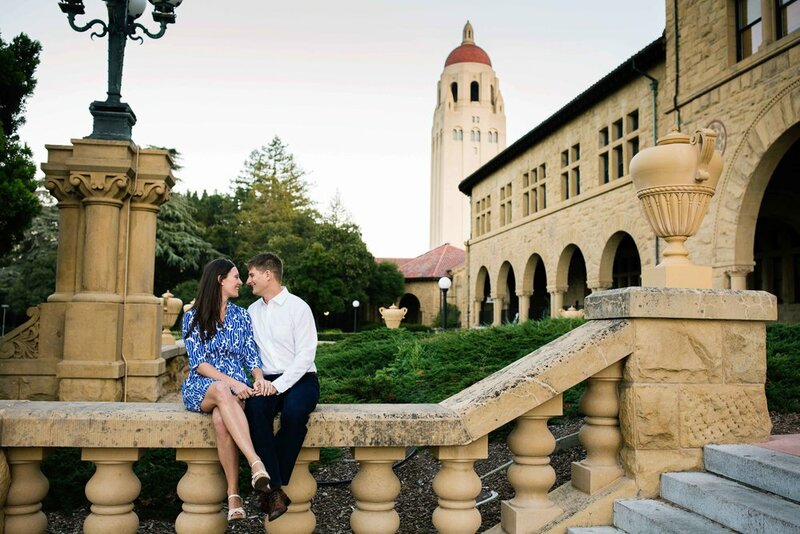 For their engagement session we went to the location of where they first met - Stanford! They met many years ago only to recently re-connect at a volleyball game on campus.